VIDEO: Australian entrepreneur Mark Bouris tells us why he loves his watch. But really, what is there not to love? Some people’s love of their timepiece is intensely personal, to a point where it’s hard to fathom for an outsider. Others are entirely easy to understand. Aussie entrepreneur Mark Bouris, who you might know from as the TV face of the local version of The Apprentice and its celebrity offshoot. 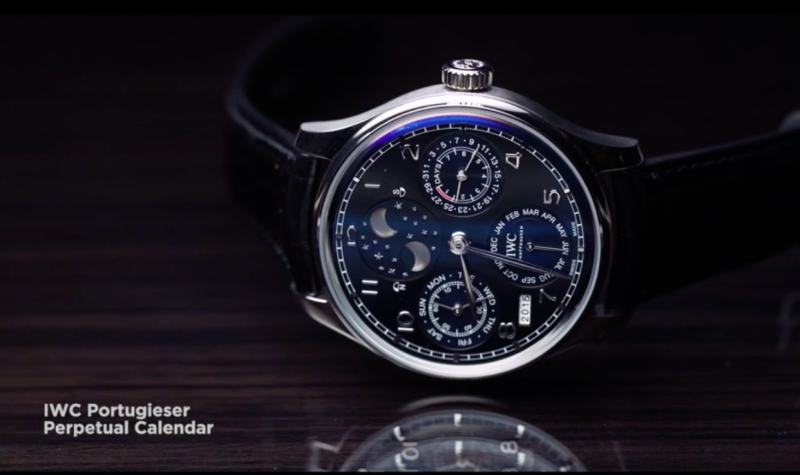 When he’s not busy being a financial guru he has a lot of love for his IWC Perpetual Calendar, that he refers to – with sweet emotion – as his ‘Double Moon’. It’s a love that knows itself. Here, he lists just how accurate the moon phase is, in detail. It’s also an exclusive love, with Mark listing its rarity – the only blue dial version in Australia to his knowledge – as a key charm. We won’t spoil the surprise any further. But needless to say, his affection for the watch is easy to share in. Let the #grail talk begin. Who’s in?